Safa Slote, CMSA alumna, junior, with an Associate’s degree, Computer Science major at IIT. Mr. Charles Franklin, chair of the College Success Committee and Vice President of the Future Institute Board, was the keynote speaker and introduced the purpose of the panel, which was to open up a dialogue with seniors and juniors to learn about the transition to college and it provided an opportunity for them to ask the panelists questions about college. Ms. Nichole Pientka, a Future Institute staff member, acted as the moderator for the panel. The seniors asked some important questions about the importance of choosing the right college and major. 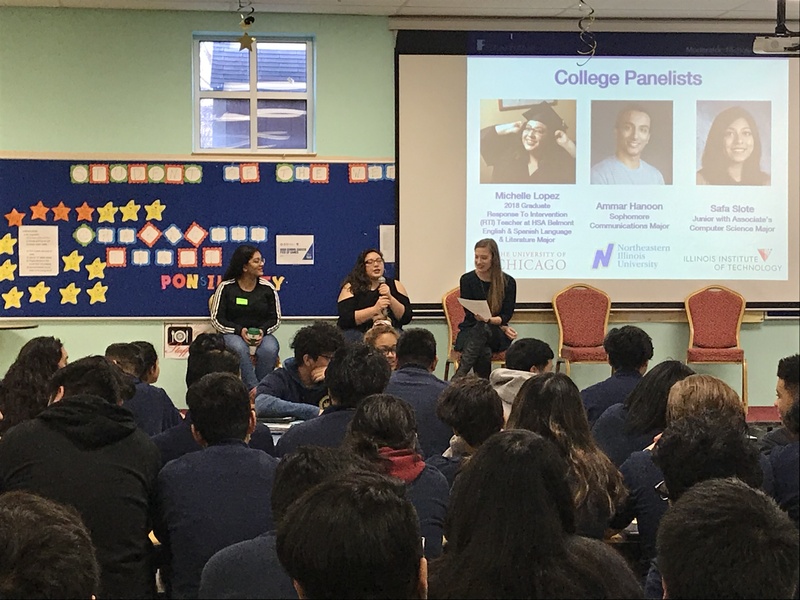 Another panel was hosted at HSA McKinley Park on November 27th at 9:00 a.m.